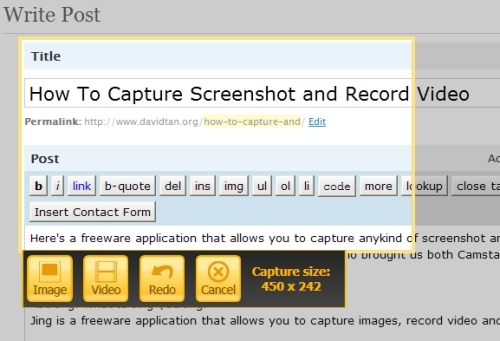 Here’s a freeware application that allows you to capture anykind of screenshot and record your own video as well. Created by the team from Techsmith, who brought us both Camtasia Studio and SnagIt, their latest toy is simply known as – Jing. 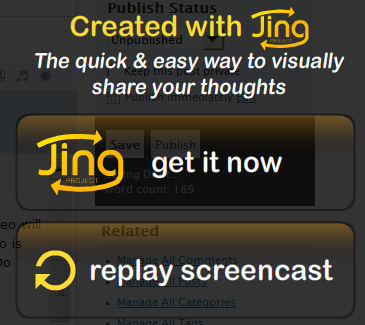 Jing is a freeware application that allows you to capture images, record video and share it online. 1. The highlighted area is what you would want to capture or record. 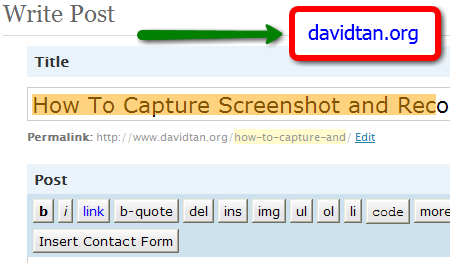 Press “Image” and you will be presented a box where you can add simple text, arrows or highlights to important points. 2. Want to record a video of what you are doing? No problem, just press “Video” and a new video will be recorded in 3,2, and 1. Just remember to do your thing in the defined area and that the video is limited to 5 minutes only. (Yeah, that’s the only limitation, you can only record for 5 minutes). And Do note that Jing will display its branding at the end of the recorded video, as shown below. 3. After capturing an image or recording a video, you can choose to save them locally or upload them to flickr and screencast.com. There’s also an option to copy the captured image onto the clipboard. Screencast.com is actually created by Techsmith and I think that’s the main reason why this application Jing is given for free – to build up reputation and adoption to make screencast.com easier to go viral. Overall, I love using Jing not only due to the fact that it’s provided as a freeware but also due to its feature-rich usability and simplicity.